All weather, multi-award-winning Five-Star visitor attraction. European Industrial Museum of the Year Winner. Original working machinery. Computer displays and hands-on interactive Juteopolis film show. Gift shop and Cafe. 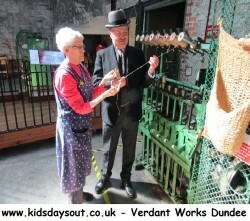 A great family day out in Dundee, Angus.